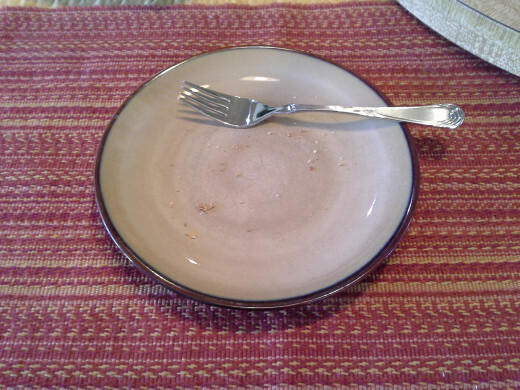 I love garlic bread so much I could eat it all by itself for a meal. And it just so happens that the day I made this, that's exactly what I did! 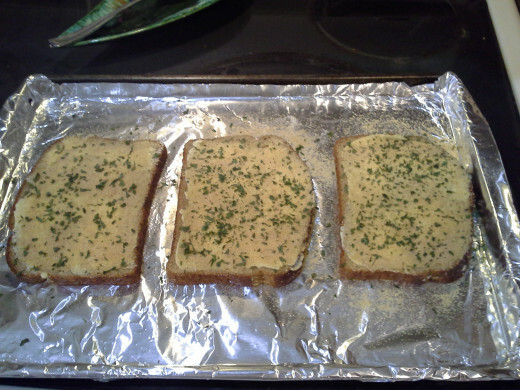 I've made garlic bread with French bread, on sourdough bread, on white bread, wheat bread, and even whole grain bread. Some of my favorite flavored breads are even more amazing with butter and garlic as well. What's great is that it is so simple and easy. I can whip it up in a matter of minutes if I get a hankering without having to rearrange my day just to have a quick and yummy hot snack. I've even been known to pop this into the oven just before my husband gets home, and go jump in the shower while it's cooking. It makes an amazing accompaniment to any meal, and so it find it's way to our dinner table most nights, and we just make it with whatever kind of bread we happen to have on hand at the moment. 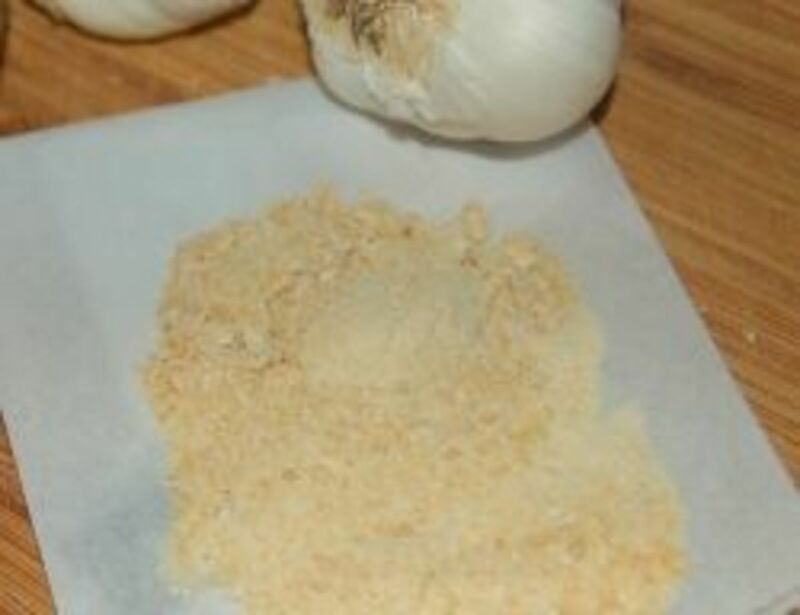 Garlic powder is nothing more than ground, dehydrated garlic, and garlic salt the same ground garlic but with salt added. We so much salt already being in most of our foods, like canned items, baked items, seasonings, and even your butter, I don't find a need to add even more to our meals along with our garlic. 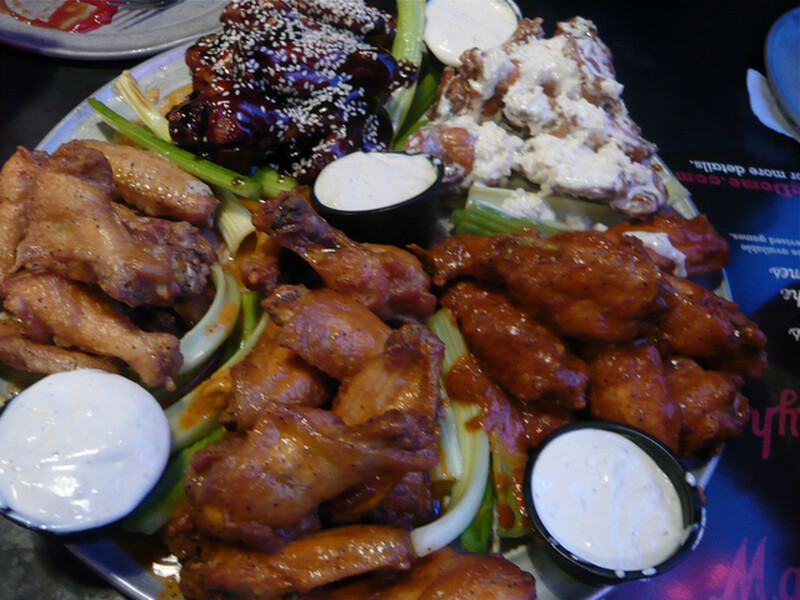 Everyone has their preference in taste and seasonings, but if you wish, these two can be interchangeable. If you choose to use garlic salt in your items, just be aware of the salt content, and either lower the salt you use otherwise in your meal, or don't use quite as much garlic salt on (or in) your items. 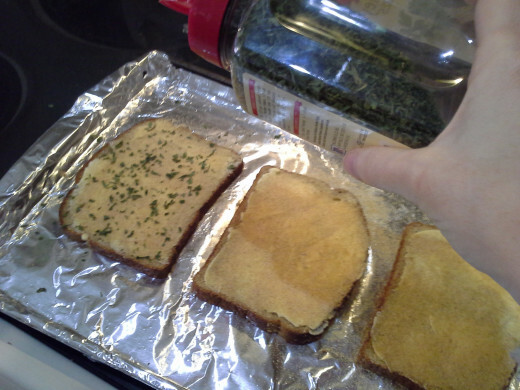 If you choose to use garlic powder in your meals, and you would like a little more salt alongside, all you have to do is to add some. I find that, especially in this particular recipe, the added salt is not necessary and, in fact, ends up being way too much for my tastes. After you make this recipe once or twice, you'll be able to decide for yourself whether you would prefer garlic powder or garlic salt. 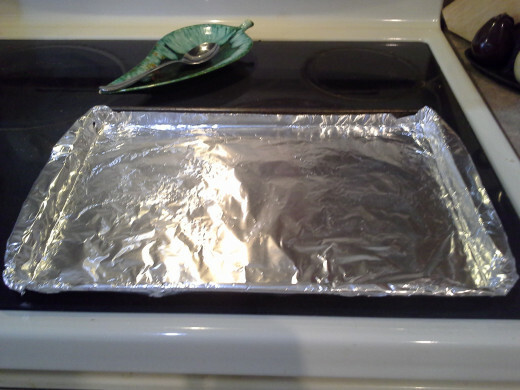 Prepare a large cookie sheet by covering it with aluminum foil. 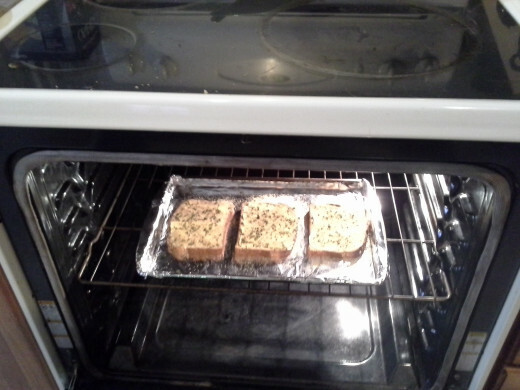 Set your oven to low broil so it will just slowly toast your topped bread. Really, you could do this in a toaster over as well, but this method is so super easy and allows you to cook more at one time. I usually make about six pieces at a time. 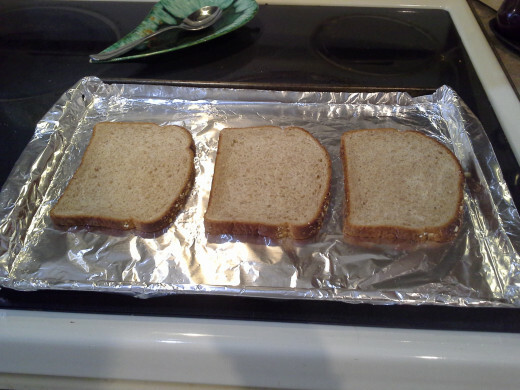 Line pieces of your choice in bread on your cookie sheet. For this recipe, I used three pieces because it was just for me. 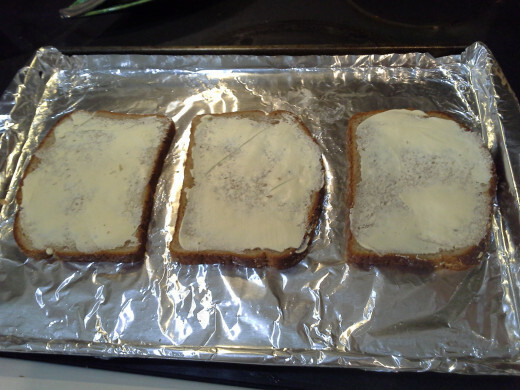 With a knife, spread butter thickly on each of your pieces of bread. 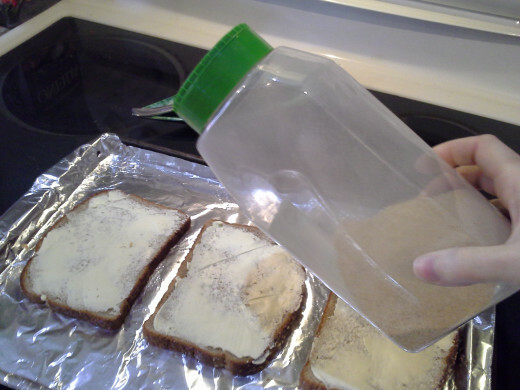 You want enough to cover your bread and melt your garlic powder, but not so much to make your bread soggy. If you only use a little, or even a little more than you think you need, you won't be able to taste it, and this IS "garlic" bread after all. Spread it on nice and thick. Finally, top with a sprinkling of parsley. You don't need much, but a little bit will really make it better. Broil in the oven on low for 10 minutes until slightly brown. 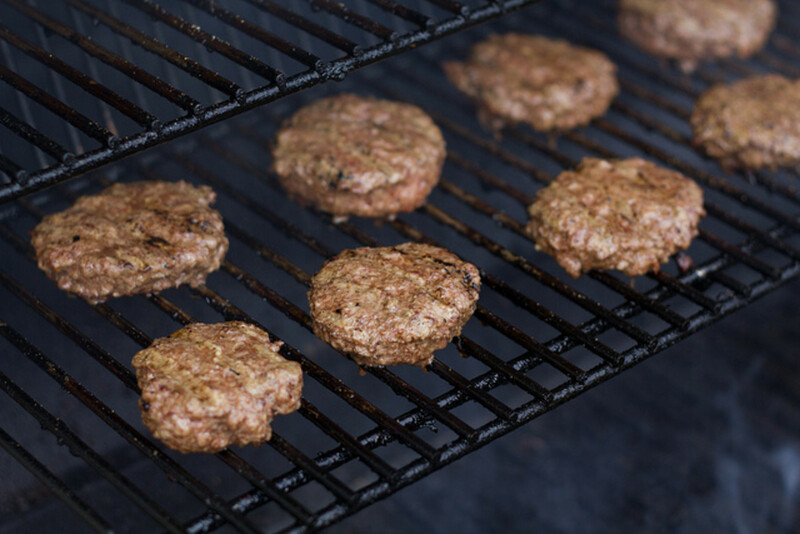 The slight browning will let you know that it is no longer soggy. Enjoy! With a little practice, you'll be able to adjust it to the way you like it. 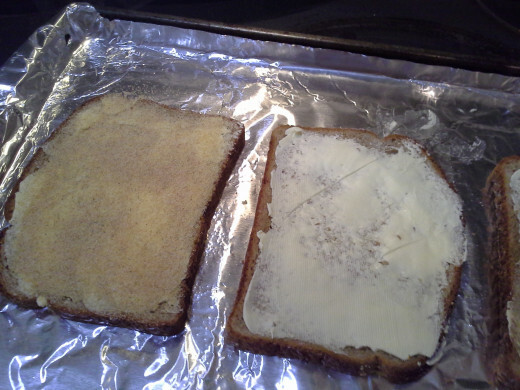 My husband likes to make this in the upright toaster but it just isn't the same. I would also have used more garlic next time. I never seem to use enough (or I just really like my garlic). 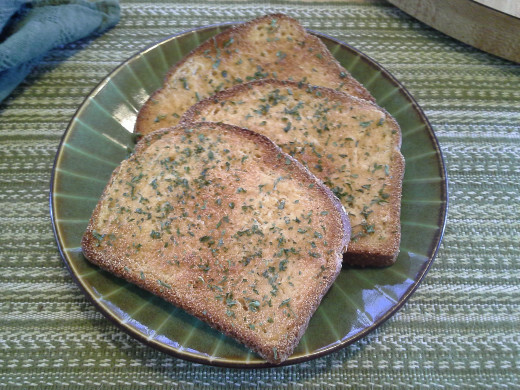 I have also seen individuals use fresh minced or chopped garlic on their garlic toast, but I think it has a totally different flavor and texture altogether. 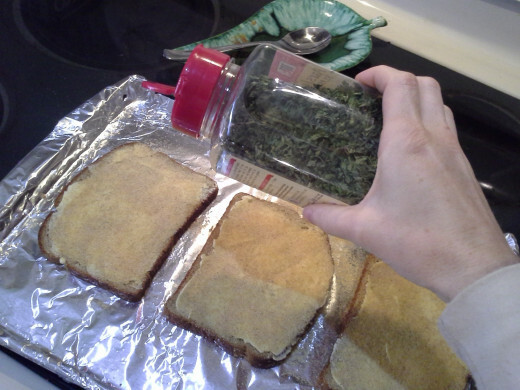 I would rather just use garlic powder. This way I can use as much as I want. 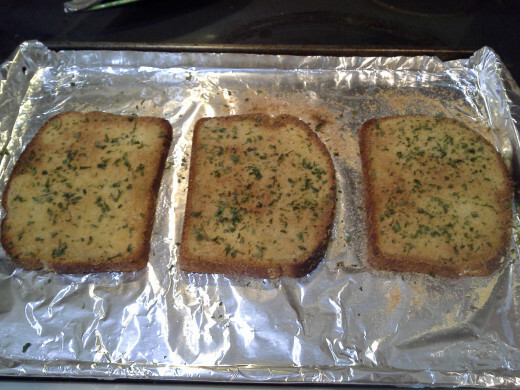 Good luck in your garlic bread efforts! We love garlic bread in our home. 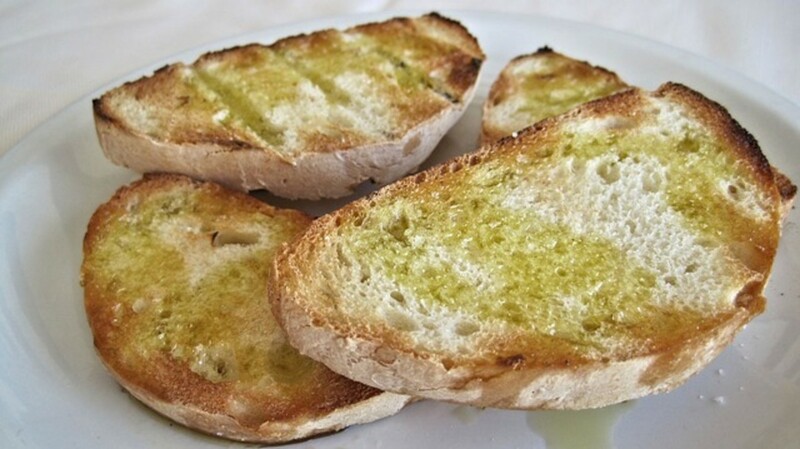 Hopefully once you see how easy it is to make your own garlic bread, you'll love it as much as we do! I really did! 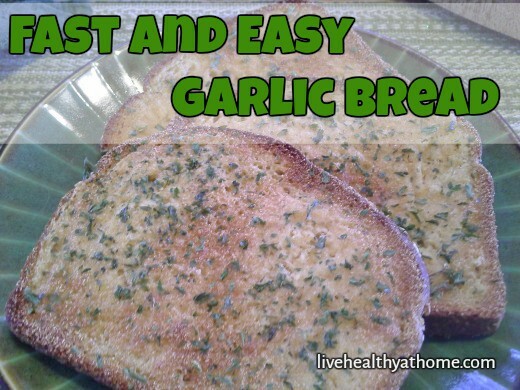 I love garlic bread and you made the process easy! I do. This recipe helped. I didn't. I didn't learn anything new. This makes a great breakfast to take on the run in the morning, a wonderfully healthy snack in the middle day to grab on the move, or even a nice filling dessert after dinner in the evening. Good! I love it too! I used to use my broiler so much. I am bringing it back! I love the broil setting on my oven. 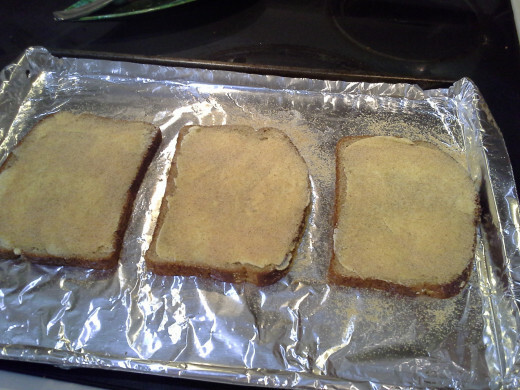 Granted, I have a toaster oven, but who wants to pull out a huge toaster oven every time I need to toast or brown something when I can just as easily use my oven? Set the oven to low broil and ten minutes will crisp up leftover pizza, toast garlic bread, cook cinnamon toast, crisp up leftover biscuits and croissants, etc. And I can cook, heat up, or brown as many pieces of anything I want! I love it! Thank you for stopping by and leaving a comment. I'm so glad that this helped you!! I'm so glad you liked it! :) Enjoy! We like Garlic bread. We would give it a try. Very nice recipe to try this week end. Voted up & useful , interesting information. Me too!! I actually do think about what to write about while I'm sleeping. Maybe I can start taking pictures from there too!